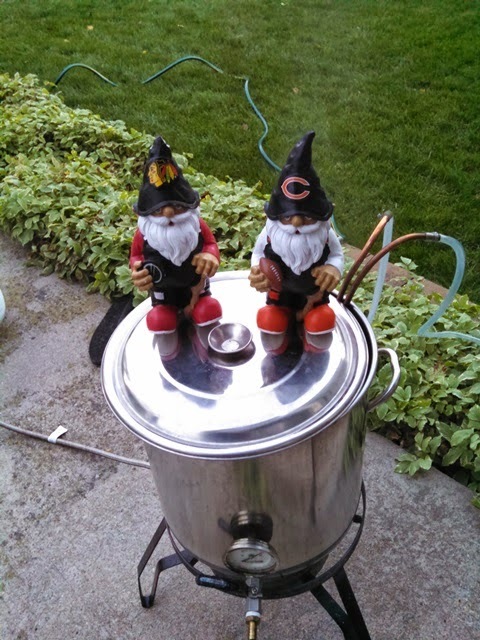 I got my brew day started ridiculously early. My first photo was posted on the SheppyBrew Facebook page at 4:01AM. (if you don't already "like" the SheppyBrew Facebook page, please go "like" it now. I posted that the boil was done at 7:01AM. 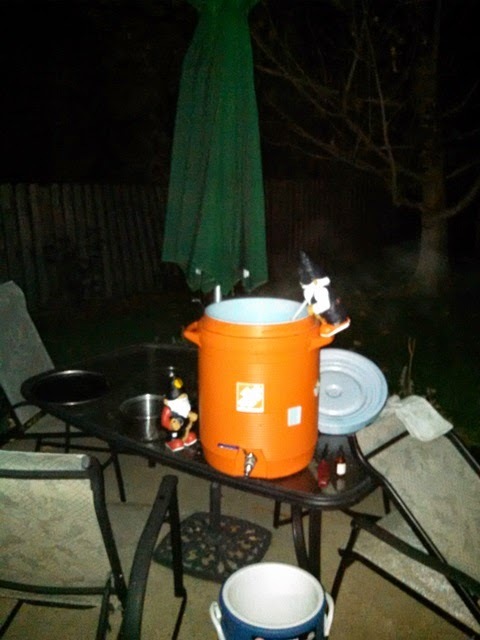 I was pretty much completely done with my brew day before 9. Everything went very well. 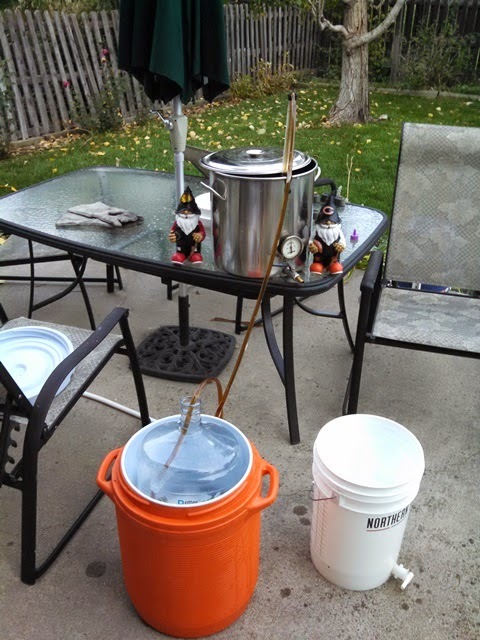 Mash temps, pre-boil gravity, OG were all pretty much perfect. I pitched at 64. The fermentation took off quickly. As I write this, the main fermentation is completely done, and I am letting it rest for another week for clean-up. With any luck, I'll be drinking this by Thanksgiving.